The captain of the Beagle, Robert FitzRoy, was seeking a man educated in the natural sciences, who could provide him company on the journey. In the end he chose Charles Darwin, a 22-year-old who was studying at Cambridge in the hope of becoming an Anglican priest. 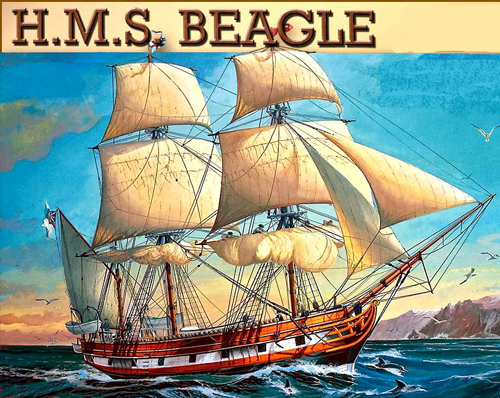 On this day, the ship Beagle set sail on a voyage which would make it one of the most famous ships in history. Captain Robert FitzRoy was seeking a man educated in the natural sciences, who could provide him company on the journey. In the end he chose Charles Darwin, a 22-year-old who was studying at Cambridge in the hope of becoming an Anglican priest. 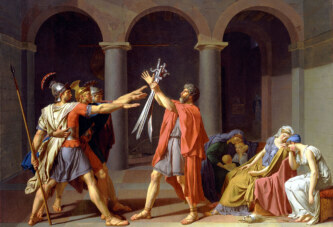 The voyage was supposed to last two years, which Darwin’s father considered a waste of time, but in the end a cousin managed to talk him into letting Charles go on the voyage. The voyage would last as many as five years and would take Darwin across the whole world. It is interesting that Darwin’s maternal grandfather was Josiah Wedgwood, founder of the well-known British porcelain manufacturer Wedgwood. Charles Darwin married his cousin Emma Wedgwood, granddaughter of the same Josiah Wedgwood. They had six children.